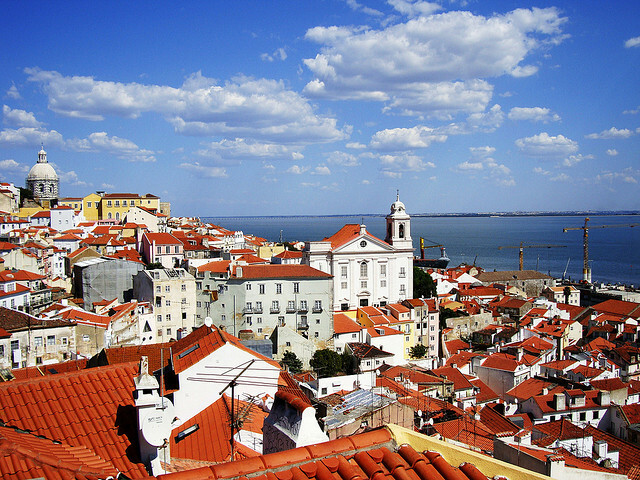 What are the top hostels in Lisbon? Heading to the capital of Portugal as part of your European travels soon? If so, don’t bother chasing the cheapest places, as staying at one of the top hostels in Lisbon will make you swear off of the fleapits you are used to enduring. Been on the road for a while, and sick and tired of cooking the same spaghetti dinner over and over again? Let the house mother at Home Lisbon Hostel take care of you. Every night, a different Portuguese meal comes out of the kitchen here, which will save you money, help you to meet travelers in a fun environment, and allow you to discover Portuguese cooking in an authentic manner. As for the rest of this building, dorm and private rooms contain modern furnishings despite the structure being over 200 years old, which will allow you to enjoy being in heritage surrounds without having to endure the lower quality of amenities in that era. If it is an excellent breakfast you are looking for, you’ll find it at the Goodmorning Lisbon Hostel. How can you resist a morning meal that features fresh waffles with nutella spread? We sure couldn’t. This is exactly the fuel you need to tackle Lisbon and all the attractions it has to offer, and with its superior location, you’ll be able to tick a bunch of sights of your list all at once. With musical instruments in the common area, you and a bunch of your friends can get together after the day has concluded and create music that will mark the end to your best day of your trip to Portugal. What happens when you take a hostel, and you (a) put it in a central location in Lisbon, (b) staff it with fully bilingual and incredibly friendly team members, and (c) have a kitchen that puts out 10€ dinners that many guests laud for its five star quality? You get an establishment that habitually wins awards from major internet hostel booking sites for being one of the best budget accommodations in all of Europe. Yes! Lisbon Hostel has a dedicated following among those on the European backpacking trail, and when you stay here, you will understand what the fuss is all about.